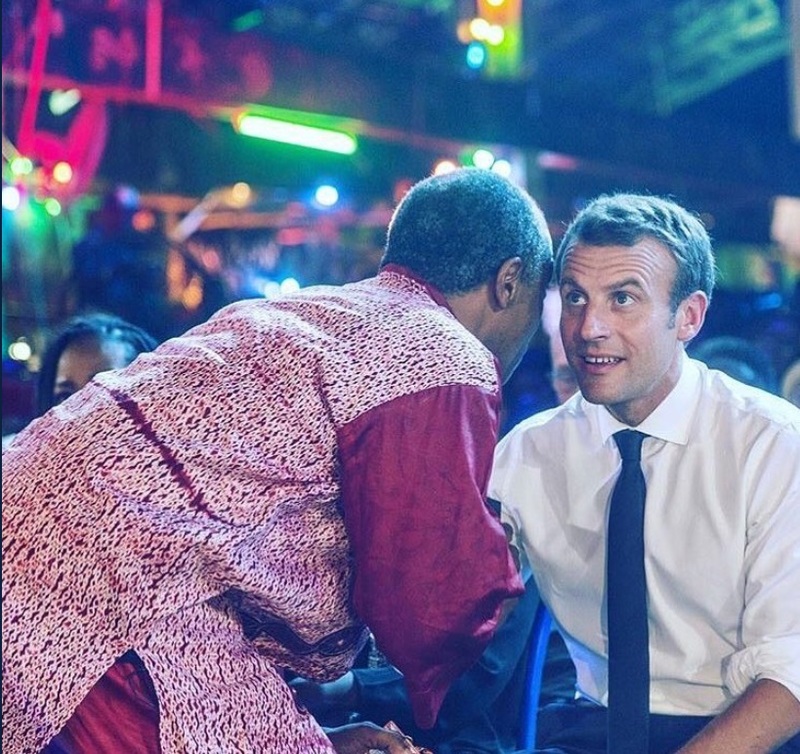 Femi Kuti, the son of legend, Fela Anikulapo Kuti has revealed that the visiting French President, Emmanuel Macron was told that Lagos State govt repaired the road leading to the Shrine just because of his visit. 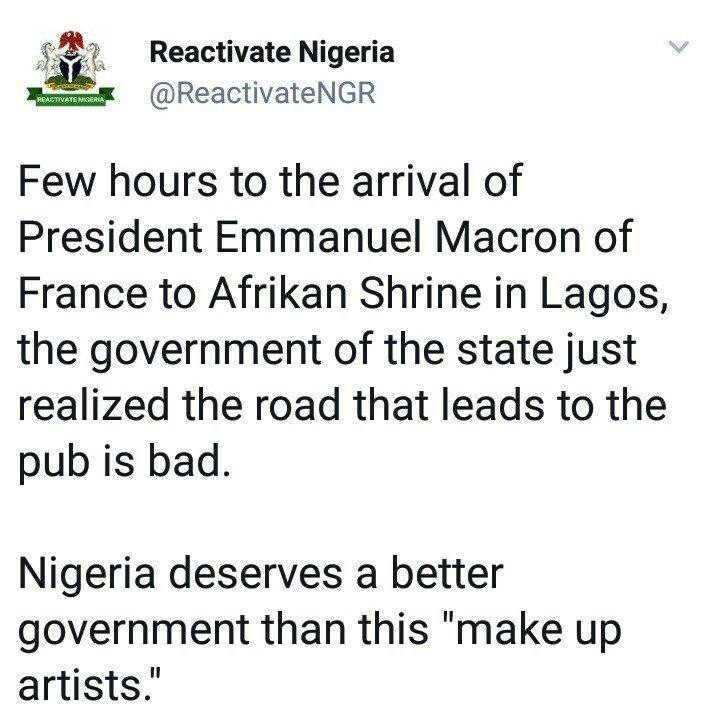 Daddy Freeze in his reaction to French President, Emmanuel Macron’s visit to Afrikan shrine has said he has come to realize that Fela was a Prophet sent by God himself. 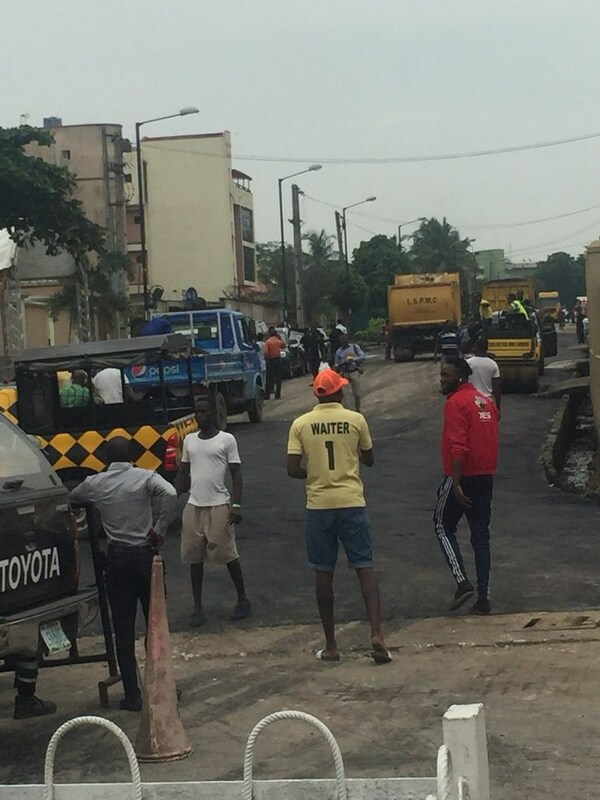 He wrote: “when I was growing up my born again aunt told me that Fela was evil. 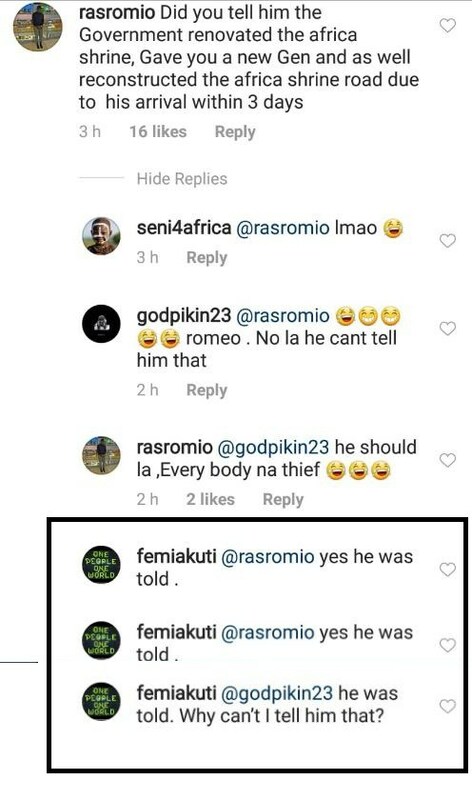 I believed her. “Now that I’m older, I have come to realize that he was a prophet sent to us by God himself. “All his prophesies have come to pass, while those paid with tithe and offering to prophesy are liars from the pits of hades who worship mammon with all their essence”.